If you want customers to recommend your company, make sure they have a good experience. In this post, I share data and analysis showing how customer experience correlates to customer recommendations across 20 industries. At the bottom of this post we’ve assembled a number of industry-specific data charts that you can download and use. In the report, ROI of Customer Experience, 2016, we provide a lot of data on how customer experience affects a number of different aspects of loyalty for 20 industries. Here’s a summary of some of the data showing the average connection between customer experience and loyalty across all industries. If you’re looking for good data for your industry, we’ve put together these 20 industry charts that show the relationship between customer experience and customers making recommendations. Feel free to use them within your presentations in accordance with our citation policy. At [Your Company’s Name], we work hard to improve our Customer Experience, and this industry chart from Temkin Group shows why it’s important and meaningful. 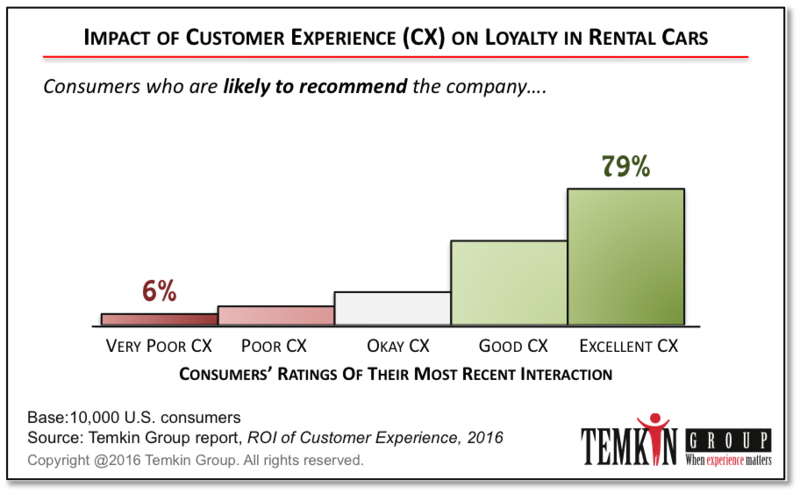 As our Customer Experience improves, research shows that consumers are more likely to recommend us, which is one of the many ways in which our customers show their increased loyalty. Totally agree! Loyalty among our current customers turn them into what we call our ‘brand evangelists’. These are people who are so satisfied and happy with the solution/product we offered that they sold the products themselves. Two of the major principles affecting this is the (1) ability of the solution to resolve the customer’s problems and (2) provide an excellent aftersales/customer service support. What some companies fail to do is to continue the healthy connection with the customers even after the sale was closed. In fact, there should even be more ‘concern’ coming from the seller after the deal is sealed. This way, the customer will feel that the company is not just after the profit, but to really solve the customer’s issues, a real problem-solver so to speak. If this happens, the customer feels special that leads to loyalty that leads to brand evangelists.